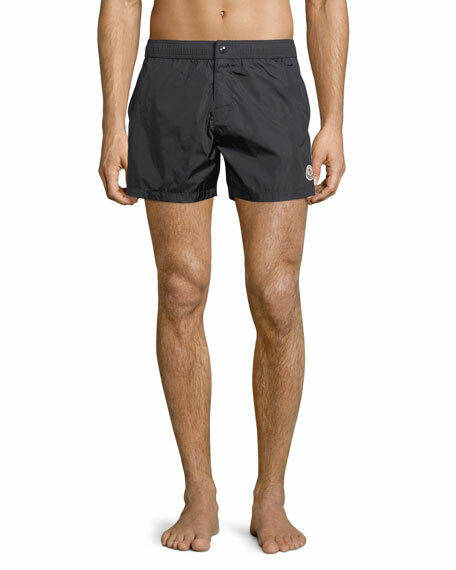 Moncler swim trunks featuring contrast piping details. Shirred elastic band at waist. 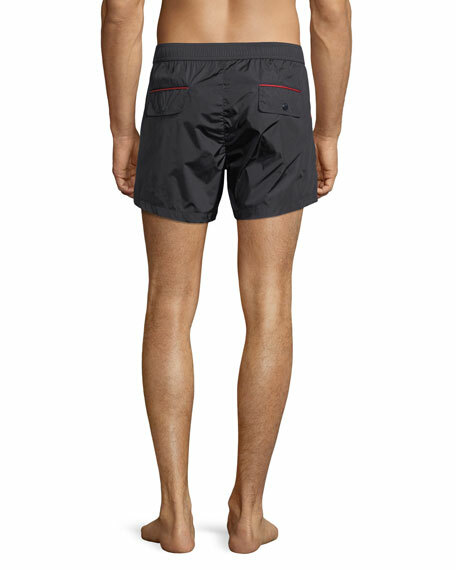 For in-store inquiries, use sku #2437199.